Coinciding with the release of Shinkocchou Seihou Garo this month, we now have confirmation of the next Garo release for the Seihou line-up. With pre-orders beginning on June 22nd, S.H. Figuarts Shinkocchou Seihou Silver Fanged Knight Zero has officially been revealed! Seihou Zero was revealed online thanks to the official GARO-PROJECT twitter. The figure is currently on display in the Tamashii Nations Akihabara showroom as well. With pre-orders openings on the 22nd, Shinkocchou Seihou Zero will be released this November for 9990 yen! 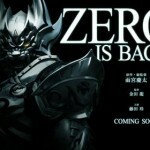 GARO Spinoff ZERO: Dragon Blood Teaser Online! After 2014’s extremely successful Black Blood miniseries, the Silver Fanged Makai Knight is returning to the airwaves once again! A new teaser for the upcoming Garo sidestory known as ZERO: Dragon Blood was released today, giving fans their first look at this new adventure in the world of the Makai Knights. This new adventure will follow on from the world introduced in Black Blood. Fan-favorite Rei Fujita returns to the role of Zero, supported by fellow Garo alumni Mary Matsuyama as Makai Priestess Rekka. Garo creator Keita Amemiya will take the directors’ chair for this new project, with veteran Garo storyteller Sumiko Umeda serving as writer. ZERO: Dragon Blood is currently scheduled to begin in 2017! 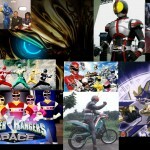 With thanks to The Tokusatsu Network for translations! Although the GARO franchise is only just getting back into the S.H. Figuarts game Tamashii Nations‘ franchise-specific Makai Kado line has been running strong for some time now, and among the latest selection of Tamashii web exclusive preorders is the return of an old favourite. 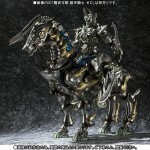 A brand new figure of the Silver Fanged Knight Zero, co-star of the original two GARO seasons and star of the recent ZERO: Black Blood miniseries, will be released in July priced 9504 yen. 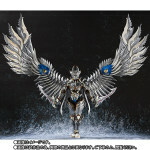 Not only does this new improved figure some with alternate hands and Zero’s signature Silver Wolf Swords, it also includes a pair of wings similar to those seen on Garo’s various powered-up forms. Will the new Zero be joining your collection? Check out the full set of images and let us know your thoughts after the jump! 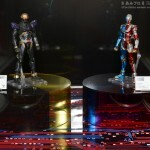 Part 3 of our coverage of the Tamashii Nations Summer Collection event focuses on the S.I.C. 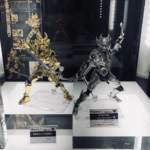 (Super Imaginative Chogokin) & Makai Kaido figures on display! Only a handful of new reveals but they are incredible indeed! If the Makai Kado line has taught us anything, it’s that even as Web Exclusives, these gorgeous pieces always sell. Even the monstrously huge Madou Horses Gouten & Raigou. However it’s very surprising to see that the latest announcement in the line is none other than Makai Knight Zero’s personal steed, Ginga! Makai Kado Ginga will be released in August as, surprising to no one, a Tamshii Web Exclusive for 8640 yen. Get with your favorite middleman service today to secure an order! Garo Spinoff “ZERO: Black Blood” Trailer Online! This six-episode mini-series will begin March 5, 2014! 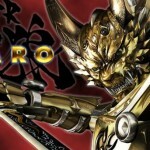 Big news for Garo fans! First up, the long-rumored spinoff “ZERO: Black Blood” has a teaser at last, with an estimated release date of March 2014 and spanning six episodes. And another new Garo TV project has been confirmed! 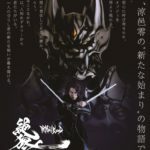 Known as “Garo: Makai No Hana,” this new series will begin in April 2014 and tell the story of Garo’s newest user- Raiga; the son of Kouga, the original Golden Knight.